Positive material identification is a well accepted analytical materials testing and materials identification technique used within the metal alloy industry. It guarantees the materials chemical composition as required for quality control. We use spectrometry and other instruments to measurePhysical, Chemical, Mechanical and Metallurgical testing. Our experienced technicians and metallurgists work closely with the analytical and physical testing groups to provide an overall view of material characteristics so that even the most difficult problems can be identified and solved quickly. Phoenix Testing and Consultancy Services is an accrediated as per ISO/IEC17025:2005 and approved by IBR. 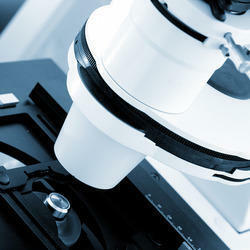 Owing to our years of industry experiences, we are offering a qualitative Metallurgical Microscope Testing Service. The offered service is carried out by our highly experienced professionals using the best grade tools and modern techniques. The provided service is executed in an efficient way within the stipulated time-period. 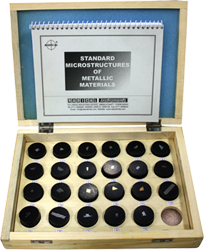 Our organization is known to undertake Metallurgical Testing Services. Metallurgical microscope coupled with image analysis software is used for analyzing inclusion rating, depth of decarburization, grain size, macro examination of the cut samples from round bar and the spring.